Thanks to the hard work of Xiron, Garry's Mod and Source Film Maker finally have a ton of LEGO models to play around with, without having to resort to work-arounds such as my earlier Toa of Light. I'm hoping to make some big pictures with these new assets in the future, but for now, I wanted to celebrate the birth of this new GMod era with a homage to another era's birth. 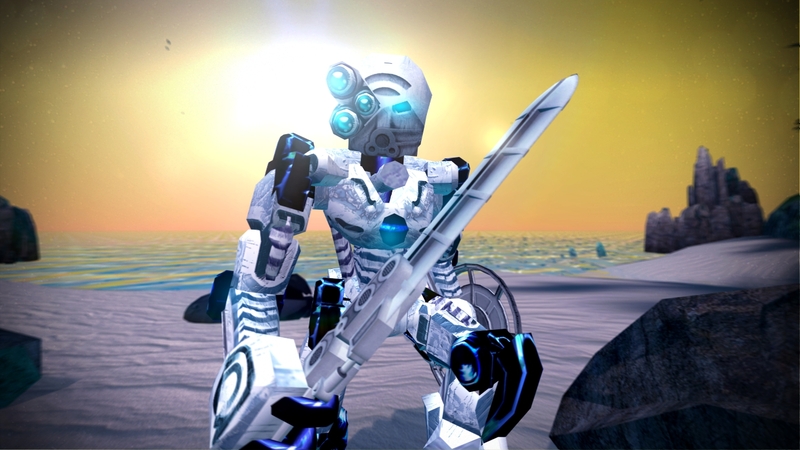 This is a recreation of the full-page splash panel of Kopaka from the very first BIONICLE comic drawn by Carlos D'Anda, using models from BIONICLE: The Game, Half-Life 2, and the "Legend of the Toa" Skyrim mod on the GM_BigIsland map. 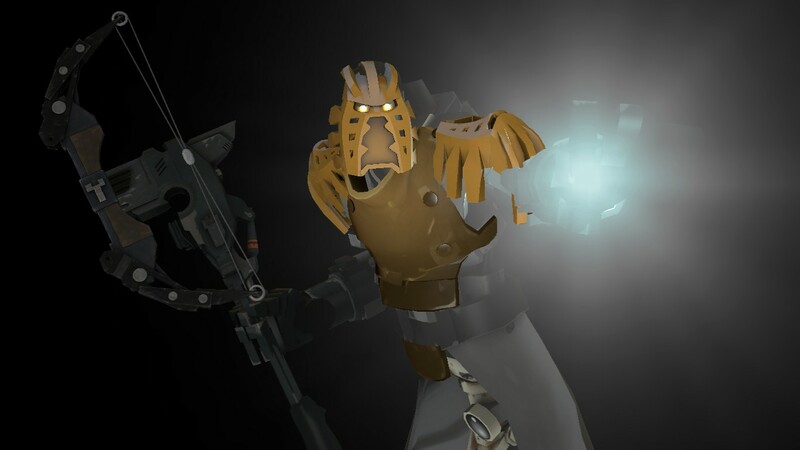 Of course, the BIONICLE: The Game model for Kopaka doesn't hold a candle to the sheer legendary awe invoked by D'Anda's work, but unless/until custom Toa models come out, this is the best that we can use. Still, despite the graphical limitations of the model, I tried to spruce it up a bit with some dynamic lighting and glow effects to better recreate the original image. Everything you see here was done directly in GMod, since I don't have access to Photoshop on this computer. If my computer didn't vehemently despise Source Engine water effects with a passion and crash GMod every few minutes on this map, I'm sure I could have done even more. Nonetheless, I'm very satisfied with the end result. Once again, big thanks to Xiron for making this possible. 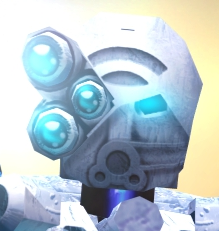 I hope you enjoyed this journey back in time to the beginning of BIONICLE. Comments and constructive criticism are appreciated. Grr! it won't load all the way! The picture keeps stopping with half of the mask. From what little I see and the info you ahve given, it sounds/looks pretty great! I can imagine that it would have taken a long time to do this, good thing that porting the model from the game saved you some time. Grr! it won't load all the way! The picture keeps stopping with half of the mask. Really? Hmm, this is concerning. If it's a problem with the host website, then perhaps this Brickshelf reupload will work better for you. If it's a problem with file size, then maybe the smaller preview image will load for you (though you'll have to deal with grainy JPEG compression as a result). Please let me know if either of these options are viable. Excellent recreation of this iconic shot! Wonderful! And nostalgic. I've always wondered if there was a way to extract the data from the Bionicle games/stuff! Oh, neat. It's really cool to see those assets reused. Best part though is how well you captured the original image, down to the lighting and all. Nice work man, nice work. Hi , I recently found a full toa model in the dept of the internet on a random file sharing site.